Map of Venice Italy... With the most Popular Sights! ,,You are going to need a map of Venice Italy. That’s for sure! I don’t care it is digital or a paper map, but you will ask yourself, where is my hotel? And finally how to walk from the vaporetto station? Yet, it remains difficult to find the right streets and route in Venice. Even if you prepare your route so carefully, with the little side streets you can go wrong. You still need a map of Venice Italy. Below you see Google street view. You can already explore Venice’s tiny streets. Your starting point is Piazza San Marco. Google sent a team of people on foot with the Street View camera. They were using a boat to navigate through the canals. Thus, the waterways of the city were mapped. You can travel around the city with Street View and walking on water. Walking through Venice? At every corner of an alley you usually see a street name. There are also arrows indicate the walking route to the main tourist destinations, including San Mark 's Square from the Rialto Bridge. Or from Piazzale Roma to Piazza San Marco. But, to be honest… Get a map of Venice because the sign are not always easy to find. It's also great fun to get lost in Venice. Take one day off and wander into the unknown places of Venice. 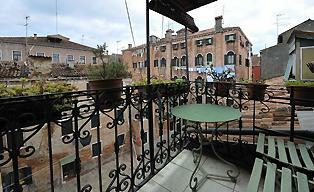 You will discover hidden squares, beautiful bridges and often local Venetians. A map you get for free at any of the tourist offices located close to Piazza San Marco and Piazzale Roma. The main attractions are marked, the appropriate trails and the scenic views. In addition to explore Venice is a map of the islands Murano and Lido also needed. 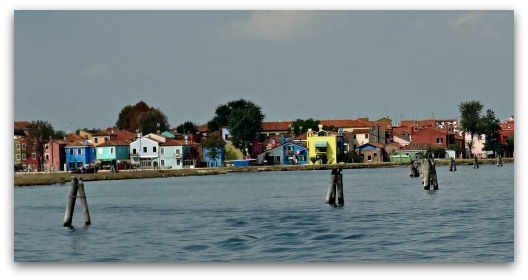 But, for Burano and Torcello this does not work because these islands don’t have many streets and they are very small islands. Venice is located in the northeast as the capital of the province of Veneto. Venice is also called the city of water and the city of bridges, which is not surprising when you examine the map of Venice. The Venice lagoon has nine islands. There are some beautiful beaches which are frequently visited to get away from the hectic city. When you plan a route in the city you would do well to realize that a large part of the city no cars are allowed to drive. All transport in the city is on foot or on water. Moreover, you can use your mobile phone or ipad to visit my site. Because NaarVenetie.com is also mobile! You've read about the Map of Venice. There is plenty to explore. Discover Venice on my site and get more information about this beautiful Italian city.